HOLLIE Muse was crowned the youngest winner of the Lancashire Ladies’ County Championship at Clitheroe – at the age of 14! The West Lancs hot-shot defeated twice champion Cori Lee, from Rossendale, by an emphatic 5&4, picking up five birdies on the way. 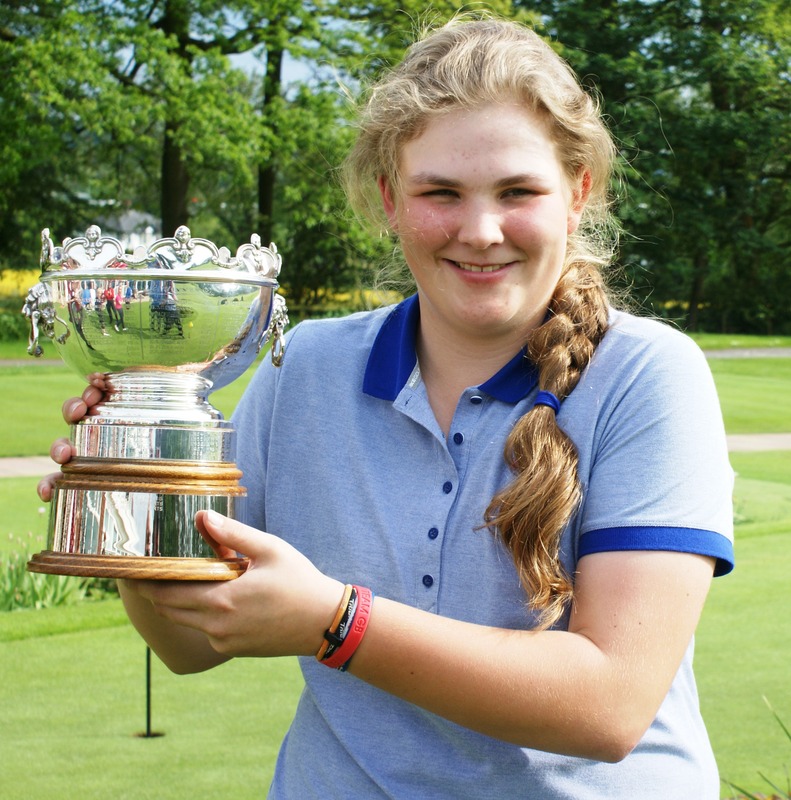 Hollie, a junior international and England U14 champion two years ago, is a month younger than Chorley-based LET professional Emily Taylor who prevailed in 2009. She edged through the semi-final by denying Pleasington’s Brogan Townend by one hole as Cori dispatched host club player Sophie Lamb the same margin. Manchester’s Sophie Powell won the Second Flight competition, overcoming Laura Johnson, from Bolton Old Links, 4&3. But the latter was consoled by an ace at the eighth – the fifth time she’s achieved the feat.